One such occurrence is precisely the subject of today’s review, Sméagol (Stoor Fisherman). This version of the Pre-Gollum hobbit was seen at the start of Return of the King, as the movie depicts how he came into possession of the One Ring and his eventual downfall into darkness. 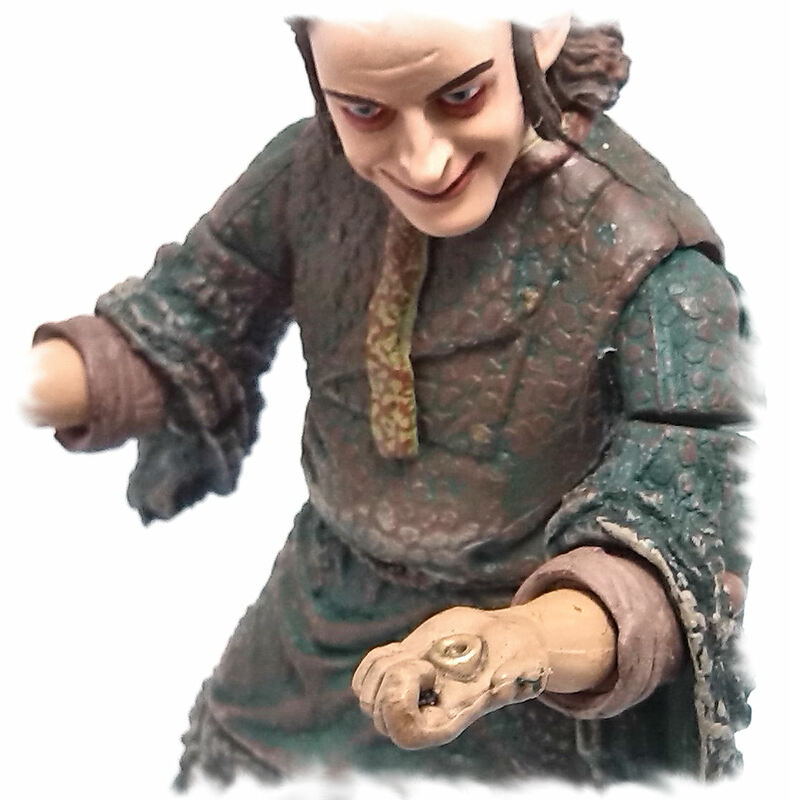 This figure is Sméagol just after he gains possession of the ring, as evidenced by the unnerving expression sculpted on his face, which is a remarkable likeness to actor Andy Serkiss. Now, despite the respectable number of articulation points, truth is this Sméagol has definite limitations regarding his posing options. 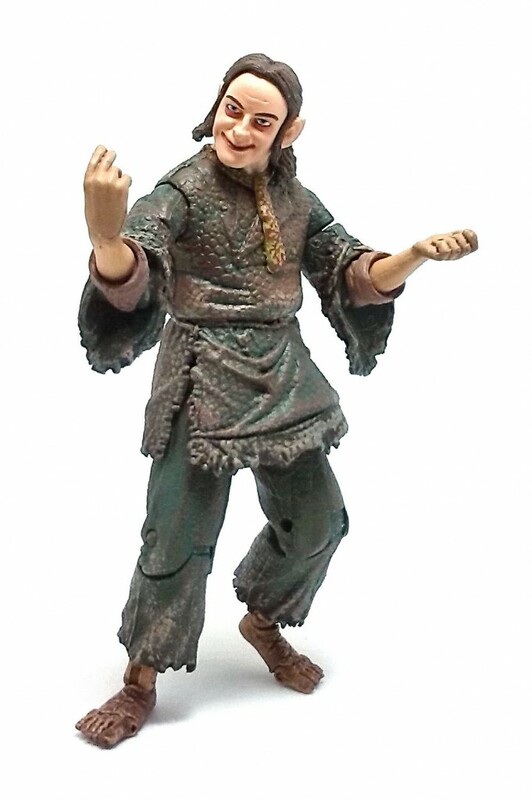 This stoor fisherman was sculpted with a slight hunch, and the neck joint works only as a swivel, thus preventing him from ever looking up. 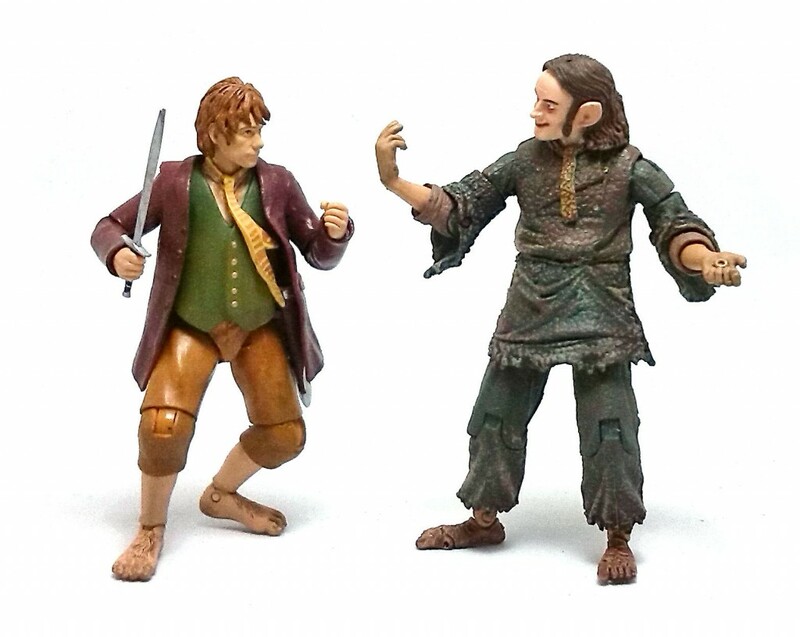 Also, his hands are sculpted in very specific poses, the left one holding the One Ring onto the half-open palm and the right one in what I can only describe as a “Come at me, bro” gesture. 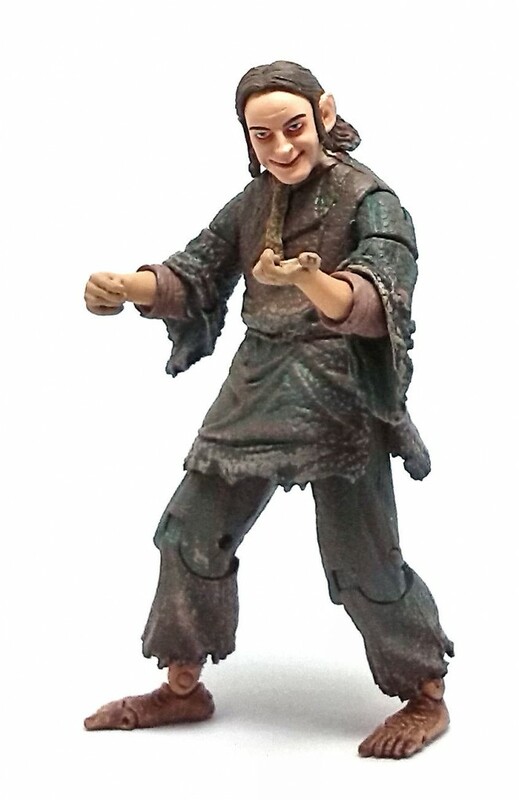 The color palette on Sméagol is rather limited in their depiction of dark green clothes smeared with river mud. This effect is well replicated onto the figure, but I find that the paint applications on the face are way too clean by comparison. 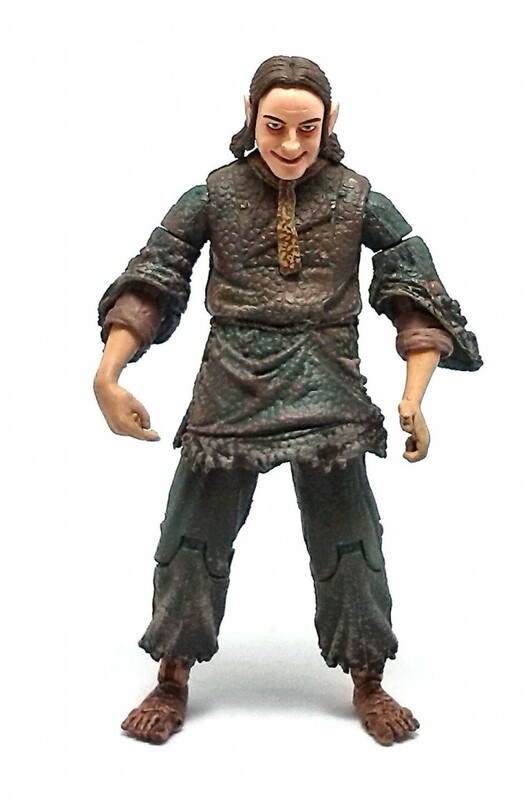 Sméagol comes with no extra accessory, which cuts down on the overall value of the figure, but since I got it fairly cheap it wasn’t much of an issue. 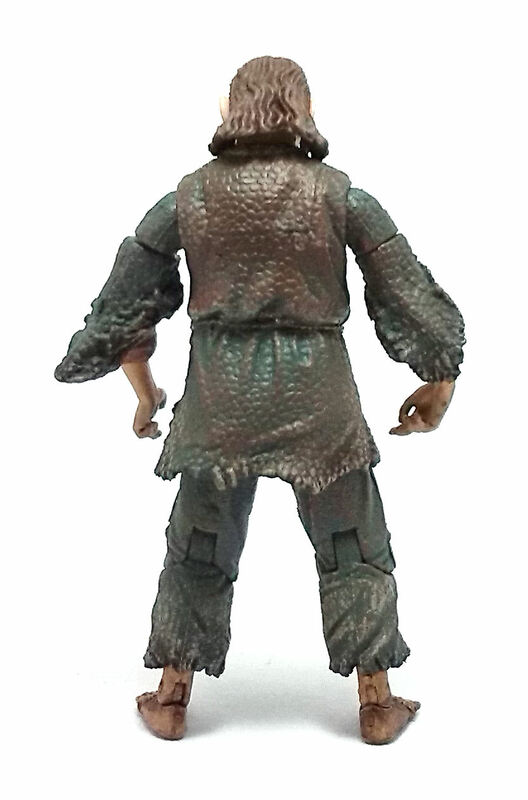 In the end, I think this is an interesting figure to have, even if the actual design is not quite up to modern action figure standards.